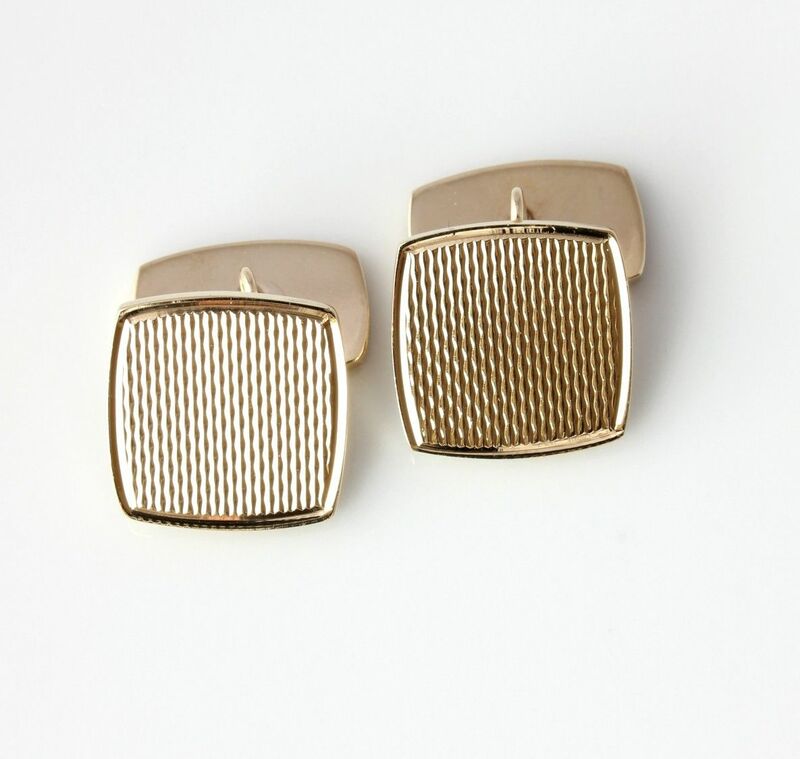 Heavy Solid Gold Vintage Cufflinks. Square Cushion Design. Gift Boxed. 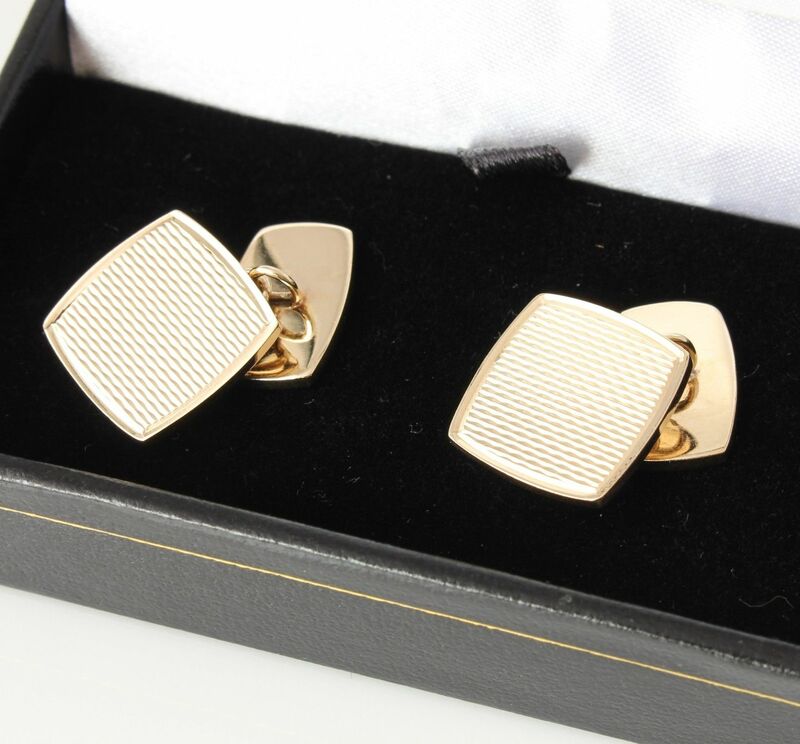 These handsome pair of vintage cufflinks are crafted in solid 9 ct gold and have stylish cushion shape textured panel fronts and rectangular shape polished panel backs. 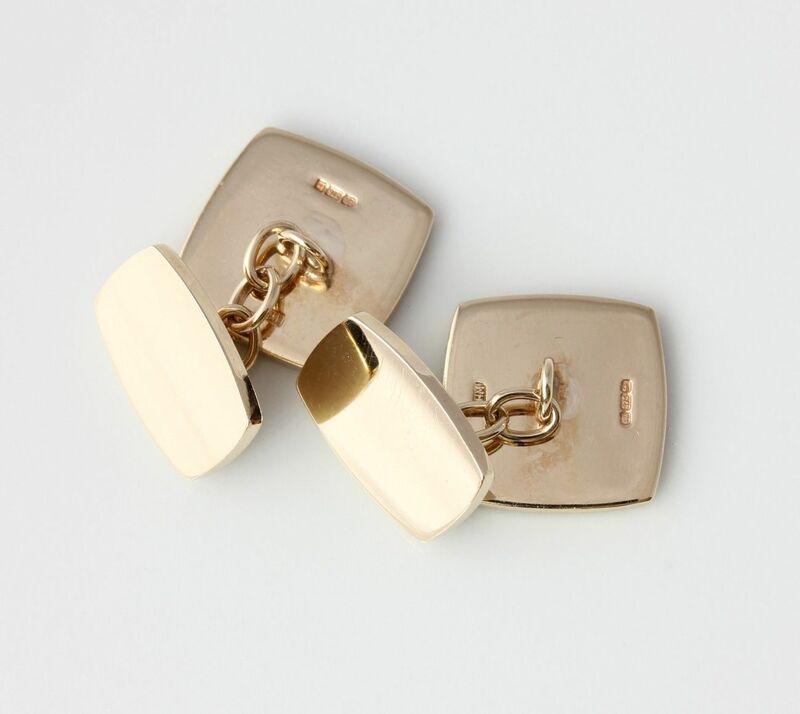 They have a connecting chain, are fully hallmarked for 9ct gold and are excellent quality being a nice heavy weight. Would make a wonderful gift and come complete in a presentation case / box. 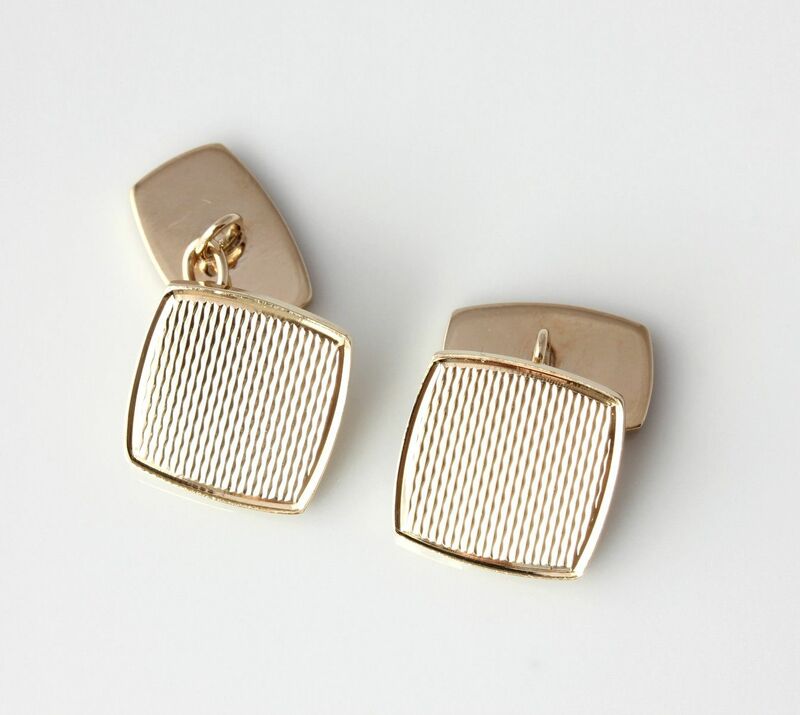 Hallmarked: Full UK hallmarks for 9 carat gold. Birmingham. 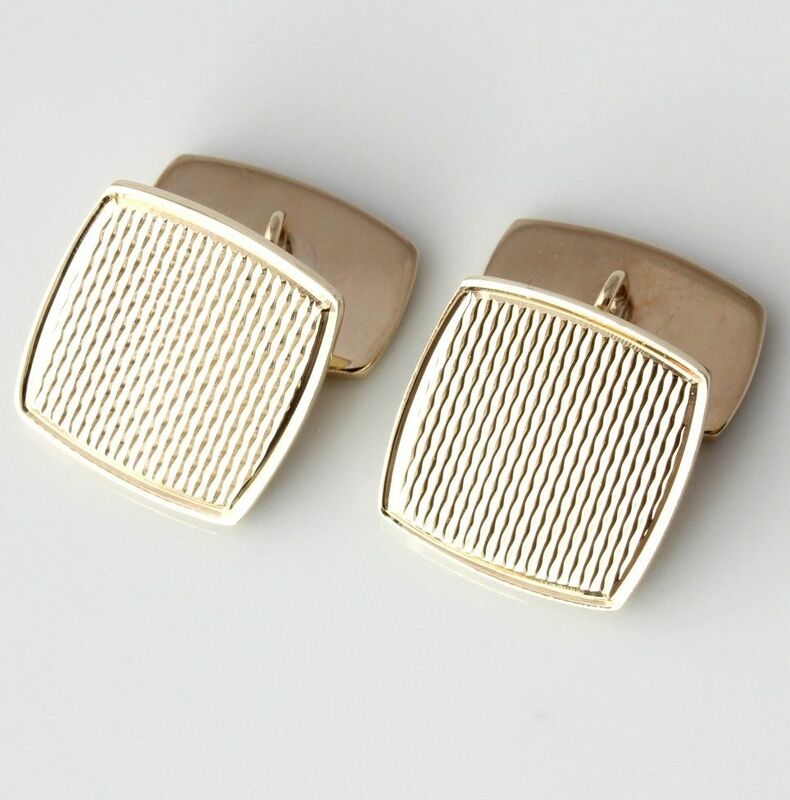 Length of cufflink faces: 15 mm. 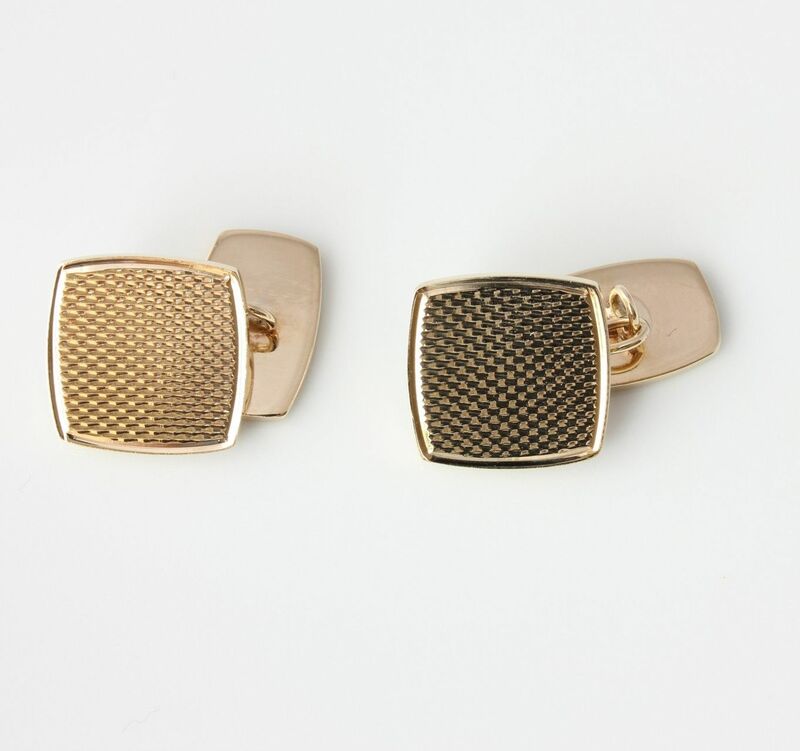 Width of cufflink faces: 15 mm. Condition: Excellent vintage condition. Professionally cleaned and ready to enjoy. Please see pictures. Comes in a box.